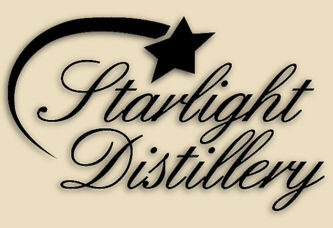 STARLIGHT, Indiana – Huber’s Starlight Distillery is excited about Indiana’s new state law changes which will now allow them to produce other spirits such as whiskey, bourbon, vodka, and gin. “With the passage of House Enrolled Act 1293, we now have the ability to take advantage of our craft distilling expertise which will lead to a more solid and diverse product line for future generations of our company. And, with more than 550,000 visitors per year to our business, we have high expectations that we will deliver not only a quality spirits product but also a state-of-the-art view and tour into the world of artisan distillation” said Ted Huber, Master Distiller and 6th Generation Co-Owner. The new law allows artisan distillers to offer samples for tasting and to sell spirits by the glass and by the bottle – similar to provisions for wineries and breweries, which have proliferated in Indiana in recent years. Previously, distilling was possible to Indiana, but, with the exception of brandy, distillers could not sell directly to consumers. The Starlight Distillery was founded in 2001 and is a division of Huber’s Orchard, Winery, & Vineyards located at 19816 Huber Rd. in Starlight, Indiana. For more information about the distillery and the products, visit www.starlightdistillery.com.